IDMverify is a best-in-class identity verification solution that can provide quick and easy personal identity and business verification. Utilizing an API (REST) it can access official data sources across the globe to provide Know Your Customer (KYC), Know Your Business (KYB) and Anti Money Laundering (AML) compliance. IDMverify helps businesses prevent fraud while maintaining regulatory compliance and providing a positive user and consumer experience. Achieving the widest capture of legitimate, official and current data sources globally allows IDMERIT to do a better job at matching personal identities than any other competitor in the industry. IDMverify produces simple matches which requires a minimum of two sources.  It also can perform an all Personal Identity Information (PII) match for up to four sources in each country. For KYC and AML purposes, IDMverify can provide a 2+2 match API that meets stringent regulatory compliance. Due to worldwide efforts to fight fraud, tax evasion and other criminal activities, additional legal requirements for verifying businesses have been instituted. Meeting the documentation requirements can be cumbersome; however, IDMverify can streamline the compliance process making the onboarding of business customers and partners run much more smoothly while mitigating risk and reducing fraud. Verifying the information that your potential partners and customers provide you is essential in protecting your company against fraud or simply entering a relationship based on inaccurate information. IDMverify makes it quick and easy to verify key business data as well as involvement in potentially high-risk activities. Cross-border transactions are becoming a standard course of business in the global economy. IDMERIT’s worldwide identity verification solutions offer the widest capture of legitimate and official data sources internationally. IDMverify has guaranteed coverage in over 90 countries. IDMvalidate, another solution offered by IDMERIT, uses IDMverify as a part of its solution. 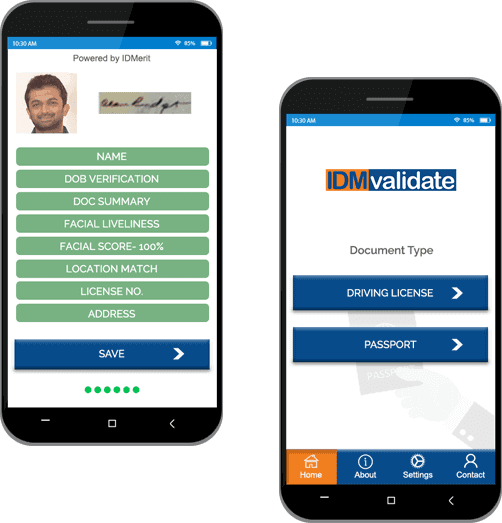 IDMvalidate offers a service where official government identification documents such as national IDs, driver’s licenses and passports are scanned into its system and authenticated as real or not real. It can also go a step further and extract the data from these identification documents to validate the identity of the person using the program. This second step occurs through a direct connection with the IDMverify API. Data cannot be used for any purpose. Regulations exists to limit the use of data and protect PII located within databases. These regulations can vary from country to country as well. IDMERIT prides itself for having products that are all in accordance to governmental regulations. IDMERIT follows the data regulations set forth by each country’s privacy legislation for each data source in all 90 countries it works with. This makes the identity verification solutions offered by IDMERIT reliable, compliant and smooth. IDMERIT also follows the stringent compliance standards of the Financial Action Task Force (FATF). FATF is an inter-governmental body which sets standards for the effective implementation of legal, regulatory and operational measures for combating money laundering, terrorist financing and other related threats to the integrity of the international financial system. 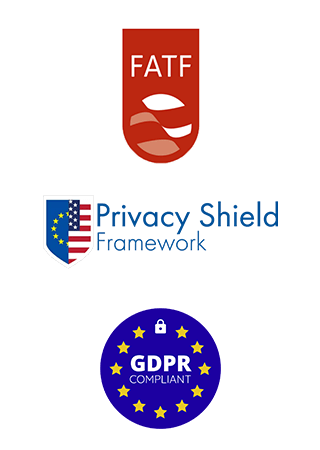 IDMERIT has crafted IDMverify to comply with specific consumer privacy directives Including the Privacy Shield Framework and GDPR for European Union consumers and CCPA for California residents. To learn more about these specific regulations and how IDMERIT meets their standards, please visit our compliance page for more information.